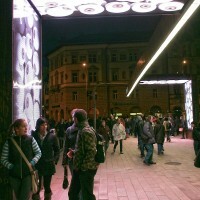 Urban Landscape Group have designed the Corvin Gate Public Light in Budapest, Hungary. The public premise renewal program called 3K – Köztéri Kulturális Keresztez?dés (Public premises Cultural Crossing)” will come to fruition between the fall of 2010 and spring of 2011, within the confines of which the crossing of Ferenc boulevard and Üll?i street and a part of Üll?i street will be renewed. The project is the work of Városi Tájkép Csoport Tervez? Iroda (Urban Landscape Group) leading planners: Barbara Szöll?ssy and Zsolt Pyka the mandator and angel is Corvin Vision Communication and Supply Ltd. 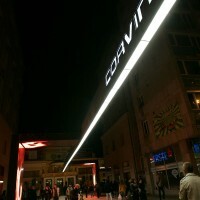 In the first phase of the large renewal process a unique public lamp will be installed at the entrance part of Corvin alley, the corner building’s arcade line will be renewed and the side entrance from Üll?i Street. This will be followed by the renovation of ramps leading to the Corvin alley, and the development of a plant island next to the ramps. The area will be enriched by some green surface, on the other hand it will possibly put an end to vehicles entering and parking on the traffic island in the entrance zone of Corvin alley. There will be a special painting on the pavement surrounding the intersection, which will be able to visually connect the different items built. 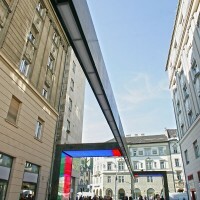 Within the confines of the program the Local Government of Budapest gave full support and owner permission to the renewal of the underpass on Ferenc boulevard, which will hopefully also come to fruition this year. According to the plans, in spring of 2011 the intersection side of Üll?i Street would be renewed, by the development of a unique plant line, special painting on the sidewalk, and the glided lighting by lamps built in the sides of the plant island. 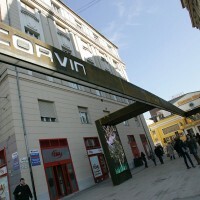 The expenses are taken on by the Corvin Vision Communication and Supply Ltd. 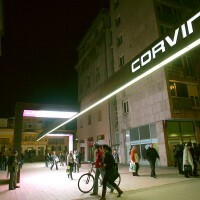 The first element of 3K program is a special lamp for public lighting, which was finally named Corvin Gate Public Light. It is a very important fact that it has materialized with the permission and support of the F?városi Tervtanács (Planning Council of Budapest), after taking the aspects of architecture and art relic into consideration. The plan has mostly gained the support of the F?városi Tervtanács (Planning Council of Budapest) by the fact that it will put an end to the disorder and chaos that is confusing functionality and formality in the square, doing it all without interrupting the current characteristics of the surroundings. This moment has been highlighted in the opponent opinion of György Skardelli, architect of F?városi Tervtanács (Planning Council of Budapest). Part of the opponent opinion: The planners start the assignment with a very appealing thought, cleaning the area from the different elements settled one by one during times, without any connection or correspondence with each other, and not carrying real aesthetic values to start with. 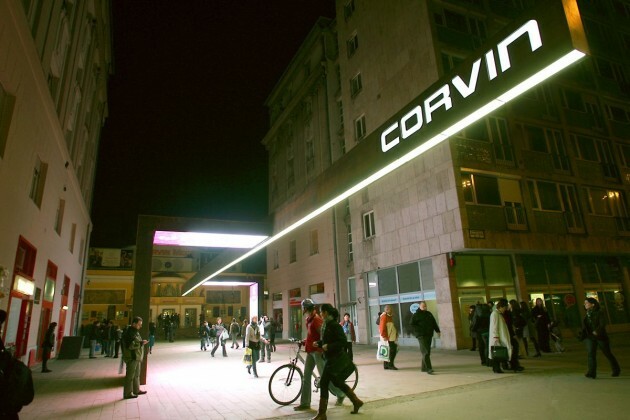 The illumination technology of the special LED lamp to be built on the entrance passage in front of Corvin Cinema is the work of planners of Városi Tájkép Csoport Tervez? Iroda (Urban Landscape Group) and the engineers of Tungsram-Schréder. The frame of the lamp is made of Corten-steel, where the intense and mixed surface colours insure the warm and natural, but in the same time rough and industrial presence. The contrast of the raw looking texture of Corten and the most up-to-date technology built in the lamp gives an aesthetic tension, that is also presented in the reconstruction of József-town. The simple, functional, 20-ton lamp structure consists of two asymmetric feet and a beam positioned 4,8 meters high, stretching out 35 metres long. This scale and structure makes the object an architectural element, namely a gate. In the long run, this 35 metres long console will take on the task of public light, instead of the normal street lamps. This modernized, low consumption, durable and economical LED lighting has appealed to all parties, receiving concordant support. The Tungsram-Schréder group based in Pilisszentiván has debuted in Italy with the public LED technology lamp named Astral not long ago. Thos Astral lamp has been improved by a special filter, providing an extraordinary visual effect that cites the pixel – world with the LED walls built in the inner sides of the feet of the lamp. The final optics are presented by the 35 uniquely planned Astral LED lamps mounted with 2 380 pcs of LEDs all together, using a special patent. The allocation on the two vertical LED walls is 10mm’s and on the vertical walls it is 20/10 mm’s. 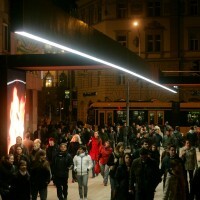 An important parameter of the object is that the Corten structure is present as a construction connecting public lighting with special visual effects. This is an innovative use of the LED wall, since this solution has mainly been used for media walls. 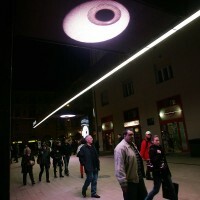 A LED surface of this size has never been built in a public lighting system before. Visit the Urban Landscape Group’s website – here.